Our first night away was spent less than two hours drive from home. Who would have thought packing our “stuff” and three kids into a car could take eight hours? But thankfully the “no plans”, “go with the flow” approach which has always been my travel motto didn’t let us down. 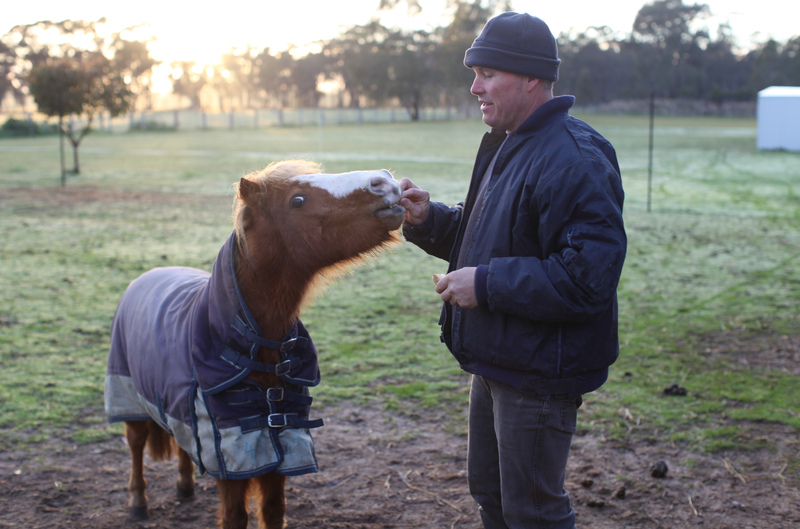 In this instance, we stumbled across Jason and Susan and their menagerie of animals on a farm at Bagshot, about 15 minutes out of Bendigo. What better way to wake up than to the sound of a newborn lamb bleating and a talking cockatoo? 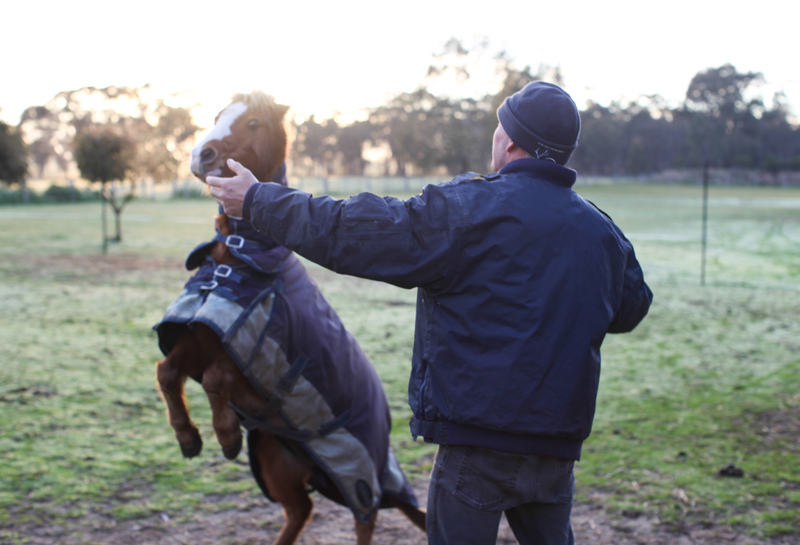 Jason and Susan’s passion is training animals. 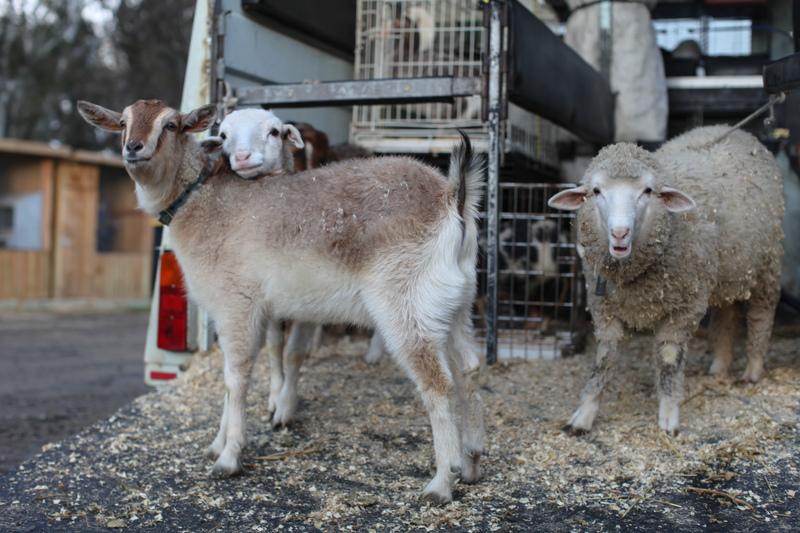 They spend most of their weekends travelling with their mobile animal farm – covering events, children’s parties and quirky requests. 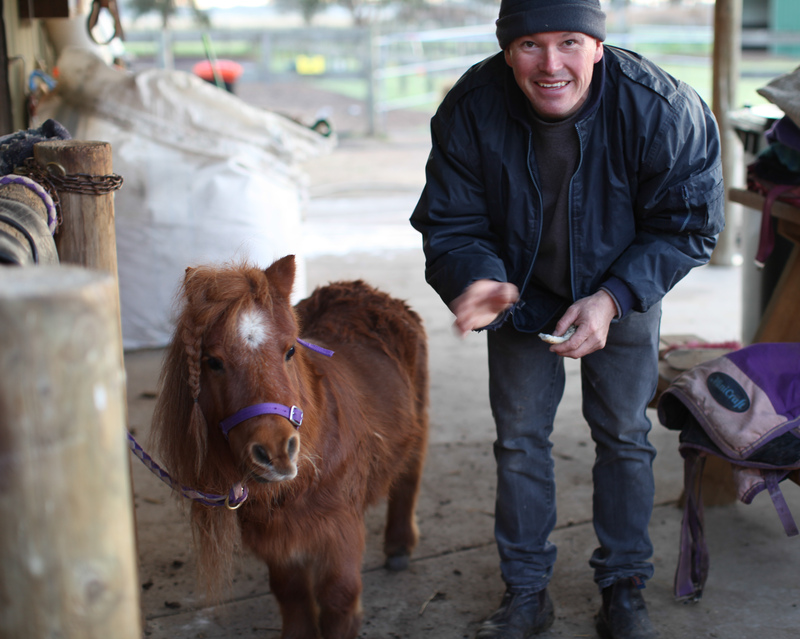 And they also run a farm stay at their property to help make ends meet. Jason is one those people who wears a thousand hats. He’s a blacksmith by trade and spent years shoeing Clydesdales. But he’s gotten-by doing anything and everything. 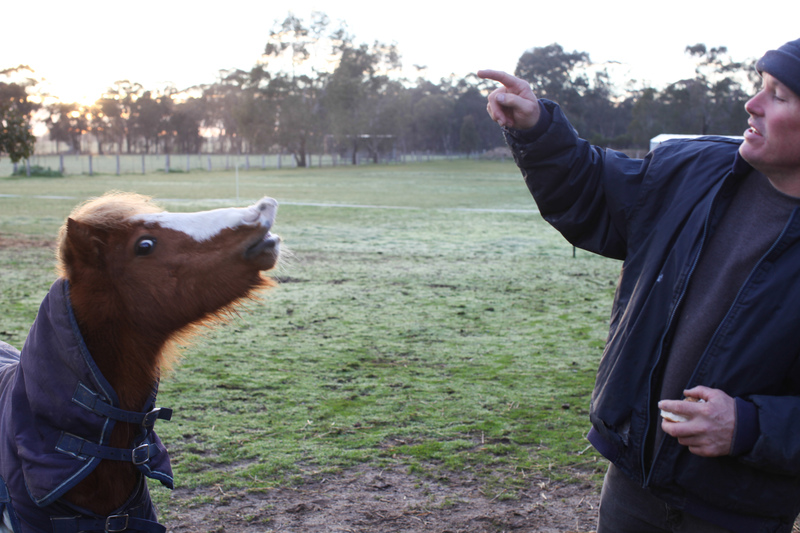 This is Cooper, their 68cm tall pony (27 inches) “smiling” for Jason. 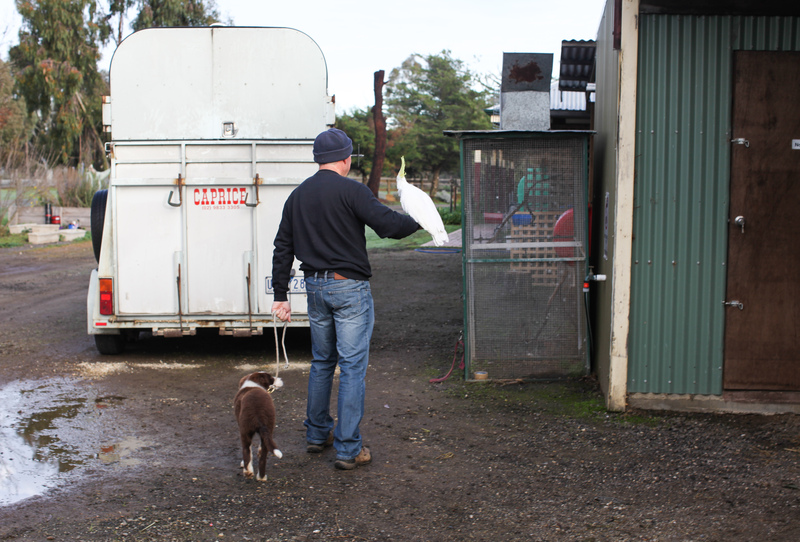 Unfortunately we only had a glimpse at his tricks (and those of a super clever working dog) before Jason had to head off to an event. But the kids spent a few good hours squeezing bunnies and tormenting guinea pigs before we hit the road. Hilarious! Did you line that up or was that just spontaneous? This is going to be fun watching your adventure i can just tell!!! 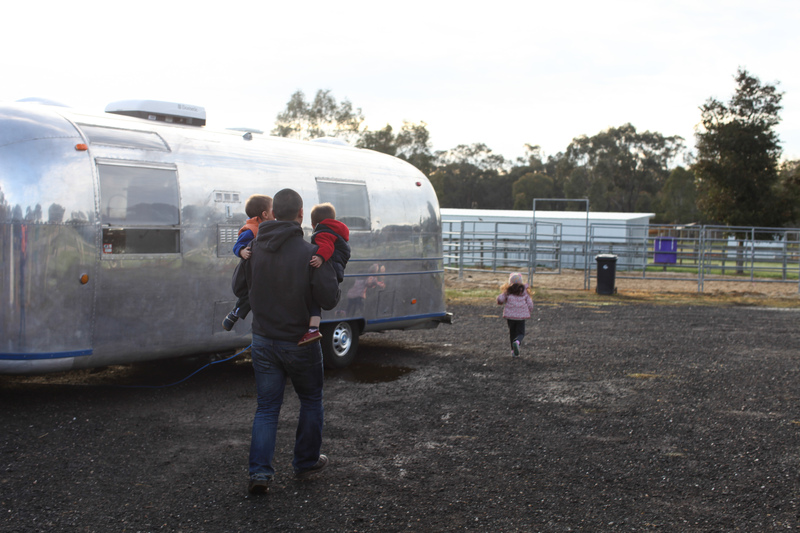 You know someone should be following you with a camera and pitching this to sbs – AIRSTREAM LIVE! thanks for honestly sharing your beautiful stories xxxx Let me know when (if) you make it to katherine and ill give you details of friends to stay… also pine creek…batchelor…..darwin river…wait a sec thats your territory too isnt it! 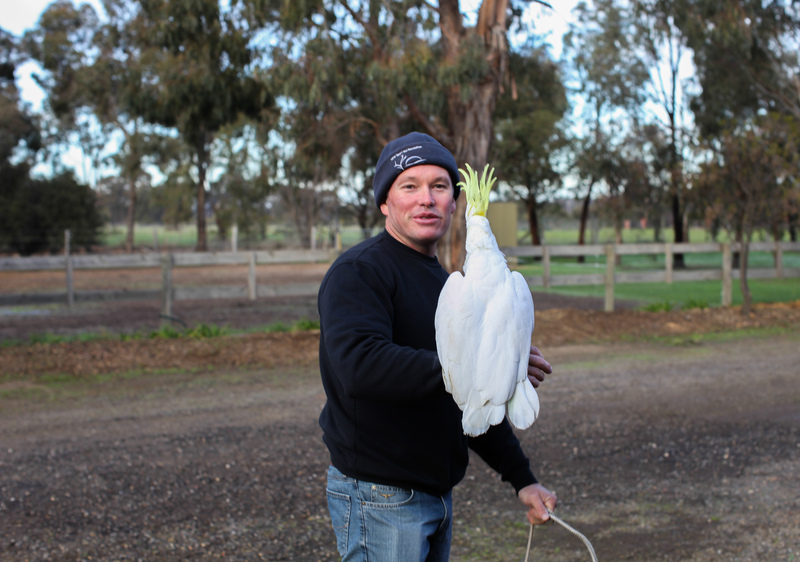 Loved this post – how awesome to find a farm stay like this! !